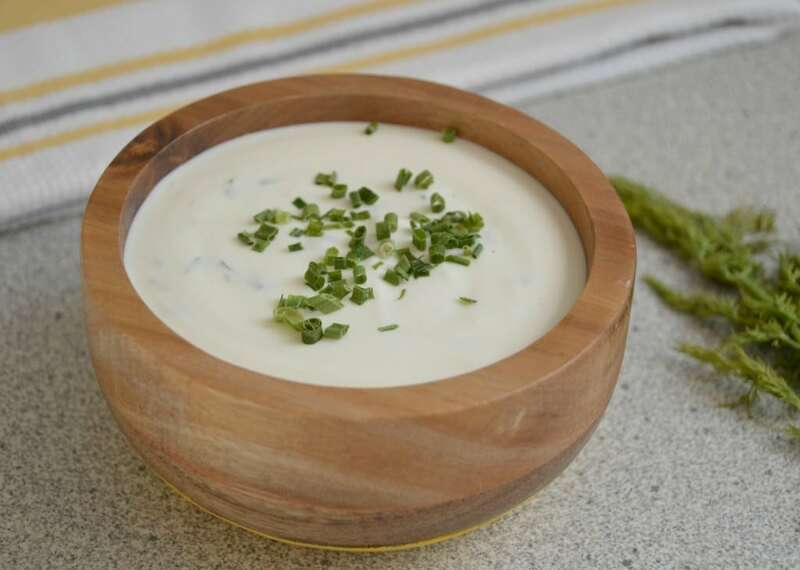 Inside: This Easy Homemade Ranch Dressing Recipe is made with fresh ingredients and works perfectly as a dip for your favorite appetizers or a salad dressing. Ranch dressing is something that I never had the opportunity to try when I was growing up in Mexico. In fact, when I heard the name for the first time, I didn’t even know what it was! I thought that it was like the salsa ranchera that is common in Mexico and which consists of tomatoes and roasted peppers, and is prepared in a molcajete. When I got to the United States, I found out in a hurry what it really was because my husband is its #1 fan. I’m not lying when I say that he puts it on almost anything! Although ranch dressing is a staple around our house, I have been pretty disappointed with the options that I have found at the stores. They are usually full of ingredients that aren’t necessary or good for you. Since we do eat ranch dressing and dip so often, I thought I would try to come up with a homemade, fresher version. Today, I am going to share with you what is now our go-to ranch dressing recipe, and I hope that you will see why we love it so much! How Do You Make Ranch Dressing? 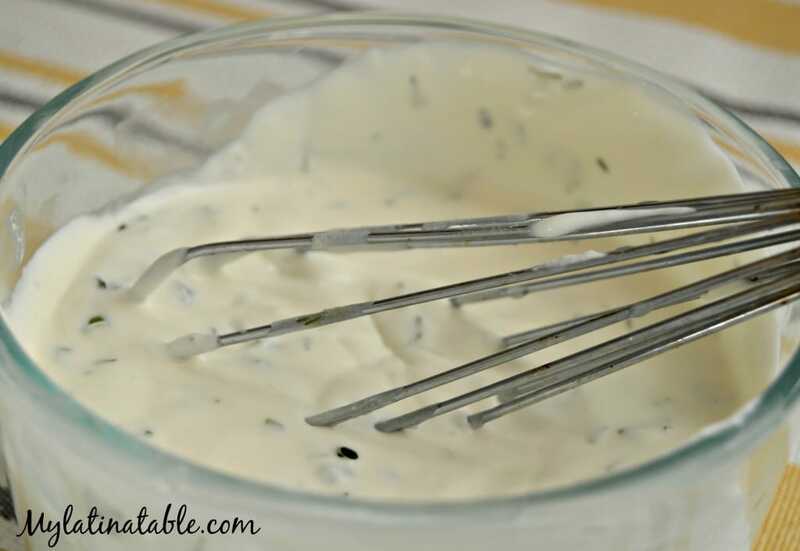 You may be surprised how easy it is to make your own homemade ranch. It requires ingredients that you probably already have. This is great because you will always know what ingredients are included and that they are fresh. To start, you will need to add whipping cream to a medium bowl before adding lemon juice and mixing well. This will form the base of the ranch dressing or dip. You may notice that the cream gets a little bit thick – this is normal. After you mix the above ingredients together, the resulting mixture will have a very creamy texture. This is ideal as a ranch dip, but if you are looking for a thinner ranch dressing, try adding a few tablespoons of milk to thin it out a bit. And there you have it! This only takes about 10-15 minutes total to make, and now you have a delicious, healthy ranch dressing that you can store and use for a couple of days. What Goes Well With Ranch Dressing? As I mentioned above, you can use this as a dip or as a dressing. While we enjoy it on our salads, we most often make this when we are getting ready to serve some appetizers with friends and families. 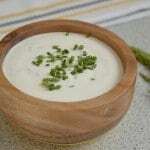 Below are some great options of tasty appetizers that go great with this ranch dressing recipe. What Products Are Used To Make Ranch Dressing from Scratch? Serving Bowls: I love serving my dips in rustic looking, wooden bowls. I don’t know if it makes them taste better, but it sure seems to! You can get some of my favorites here. Mixing Bowls: You will need some good mixing bowls to make sure you get a perfect consistency. These ones are a great option, but really any large mixing bowl will work. Hand Mixer: You can mix the ingredients by hand, but it can be easier with a good hand mixer. This is one of my favorite kitchen tools, and you can get one here. 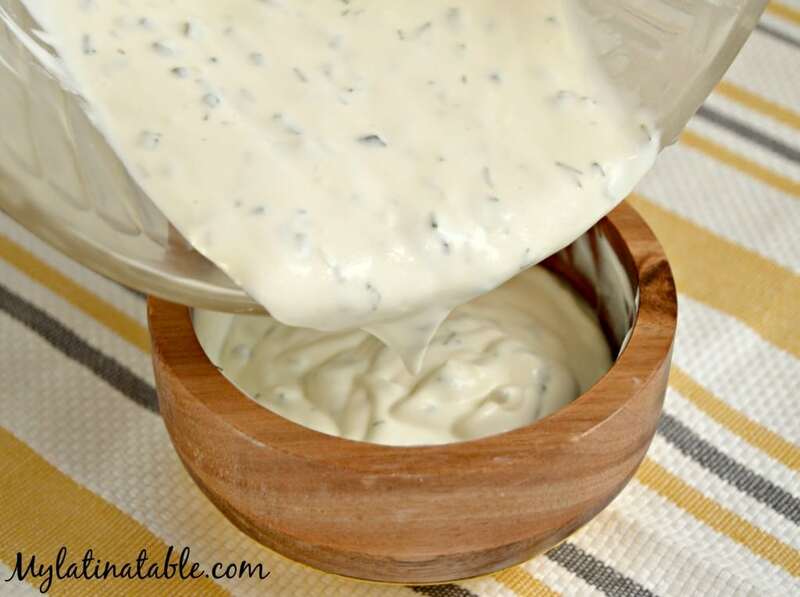 This Easy Homemade Ranch Dressing Recipe is made with fresh ingredients and works perfectly as a dip for your favorite appetizers or a salad dressing. 1-2 T of milk to thin out if desired. In a medium bowl, combine the whipping cream and the lemon juice, mixing well and letting rest for 5 minutes. Add milk one tablespoon at a time to reach desired consistency. Enjoy with your favorite salad or snacks! I’ve never heard of using whipping cream to make ranch dressing but as I read the recipe I can imagine the incredible consistency it will create. I’m looking forward to trying it a as soon as I make a grocery run! !